If you’re looking to hop on the long JPY bandwagon, then here’s your chance! 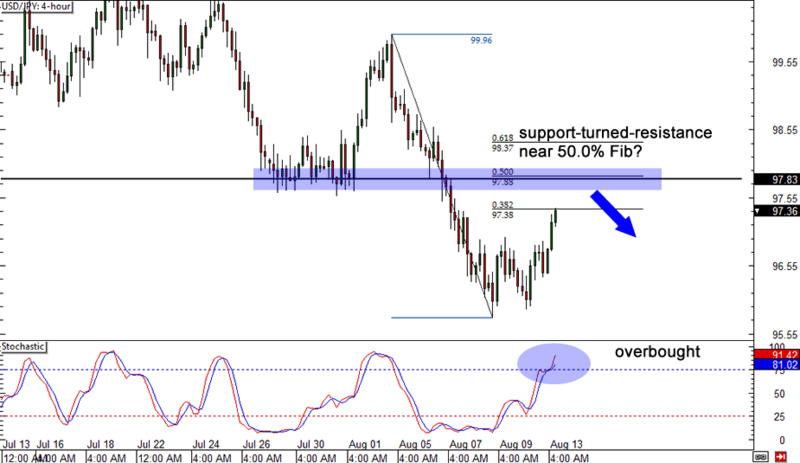 USD/JPY is retracing now after hitting a swing low just below 96.00. I popped up a Fib tool and wadya know, the 50% Fibonacci level lines up with a former support area! With Stochastic now deep in overbought territory, I’ve got a feeling that sellers are keeping an eye at the Fib level for a potential entry for their short positions. 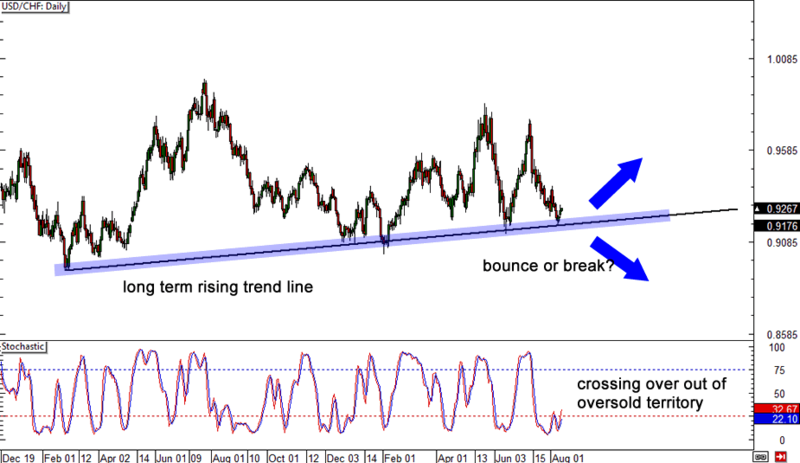 Next up is this long term setup on USD/CHF. The pair is currently finding support at a major rising trend line. The question is, will price action bounce or will it break!? Homies, it might be best to wait for some candlestick confirmation before putting up your orders on this trade! 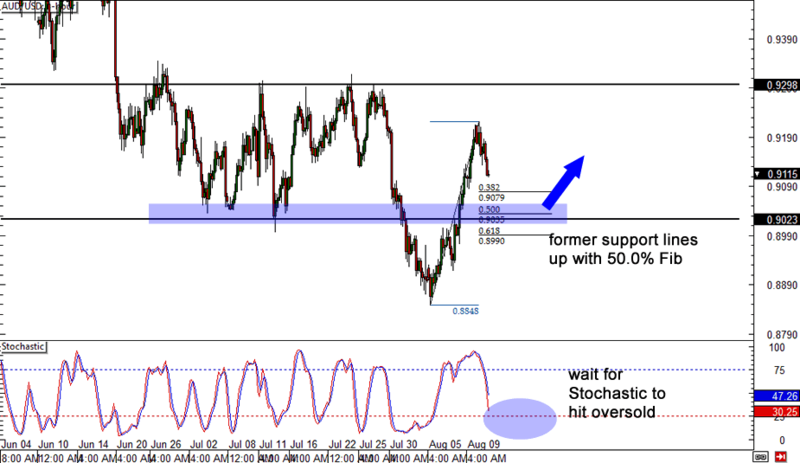 Last up, here’s my take on AUD/USD. After busting below the horizontal channel a couple weeks back, AUD/USD has made an amazing comeback. Is it time to join the bull bandwagon? If you’re thinking of buying, you might wanna keep an eye on the 50.0% Fib and former channel support confluence zone. If price stalls at that area, that might be a good opportunity to start thinking clicking on that buy order.